Long time no see. I've been a bad blogger again. Although for good reasons this time other than The Other Bowel Problems (which are more bain of my life than mere problem at the moment. Did anyone see a certain Miss Katie-Boo in the Dietary Special's e-newsletter last week? I got a mention for my Dietary Specials/Co-Op post that I did last week. It was quite exciting seeing my name in print(ish). I've been out and about, despite feeling rough, visiting a few restaurants for another project coming up soon, and I've been rushing around with a Biro in my top knot screaming 'I've got a deadline!' to an audience of my 3 cats and dog. There have been some paranormal happenings happening at casa de Kate. Gary the Ghost has morphed from a mild mannered Casper like chap into a raging violent poltergeist. Pictures and the like have been flying off the wall and smashing, and I've taken to sleeping with my hardback copy of Harry Potter and The Half Blood Prince under my pillow as its the closest thing to a weapon I have. Wednesday was mine and Stevie's (The Boyf's) 6 year anniversary. I really have him to thank/blame for my fairly recent interest in food and baking, after feeding and cooking for me for three years at uni he graduated, leaving me to fend for myself thus forcing me to cook (direct any hate mail his way!). He's also put up with many a gluten-free induced tantrum over the years and has trudged around various cities and towns with me to find places to eat while I've wailed, 'I can't eat another jacket potatoooooooe!'. He really should be nominated for the New Years honour list. I'm in the process of making 'labels' which will be on all my recipes to indicate whether they're gluten-free, dairy-free, vegetarian or low fat. I was also thinking of putting easy to hard ratings on all the recipes too, what do you guys think? I've also been having a rethink about the photos that accompany the recipes, would you like to see pictures of recipes in stages? I like to think my recipes are pretty straight forward but I'm more than happy to do photos of the process as well as the finished product, I just worry it would make for a rather picture heavy post. Let me know your thoughts on it. Tomorrows recipe is a cracker, I know I say this about every recipe but this one is an all round winner, plus it'd be something Mum's up and down the country would appreciate come Mothers Day, so stay tuned. 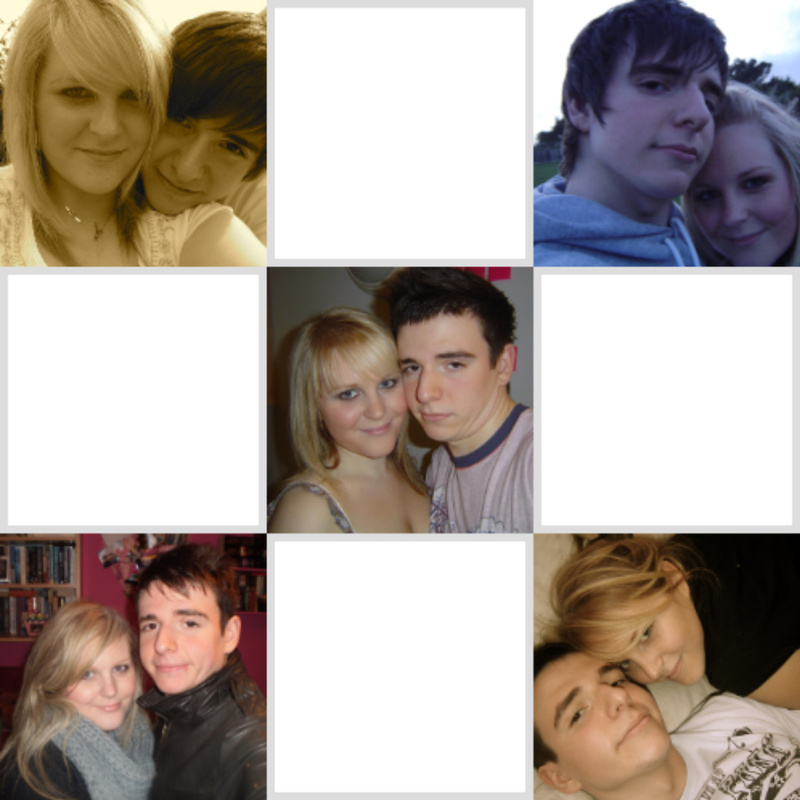 I'll leave you for now with a few pictures of me and The Boyf through the years. Baking related it ain't..vomit inducing it could quite possibly be. L-R 2007, 2007, 2005, 2010, 2006. Labels are a good idea, maybe do the extra photo's for the harder/trickier recipes. Looking forward to tomorrows recipe. aww,thanks lovely :) do you see what i mean about looking like a cabbage patch kid?hehe! thanks for the feeback about the labels etc. good idea about the photos, i think maybe when a recipe needs to achieve a certain consistancy or something or like you said recipes which are a bit trickier i'll add some more photos.